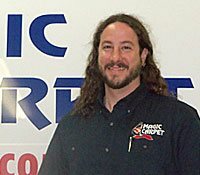 Meet The Magic Team! It takes more than equipment, certified products and master technique to get the job done. It takes the exceptional people that make up The Magic Team. We pride ourselves on certifications and continuing education as well as longevity in company employment. Contact Us today for information about The Magic Team, one of our services or to schedule an appointment with one of our friendly office staff members! You can follow the work The Magic Team does on Facebook. 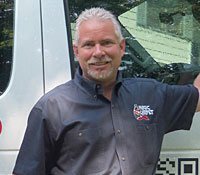 Chris has over 25 years of experience in the industry. Current Certifications held from the IICRC are:CPT Repair & Reinstallation, Health & Safety, Journeyman Textile Cleaner, Carpet Cleaning, Water Damage Restoration, Journeyman Water Restorer, Odor Control, Applied Microbial Remediation, Upholstery & Fabric Cleaning, Master Water Restorer, Applied Structural Drying and Rug Cleaning. Angelo joined our team in February of 2002 and has 13 years of experience in the industry. 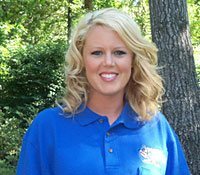 Lisa joined our team in September of 2002. 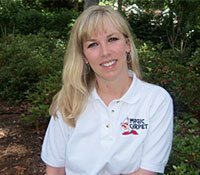 She is an IICRC Certified Carpet Cleaning Technician. Jackie joined our team in February of 2011. Only in this industry since 2011, Jackie has excelled and is very helpful to any questions you may have.